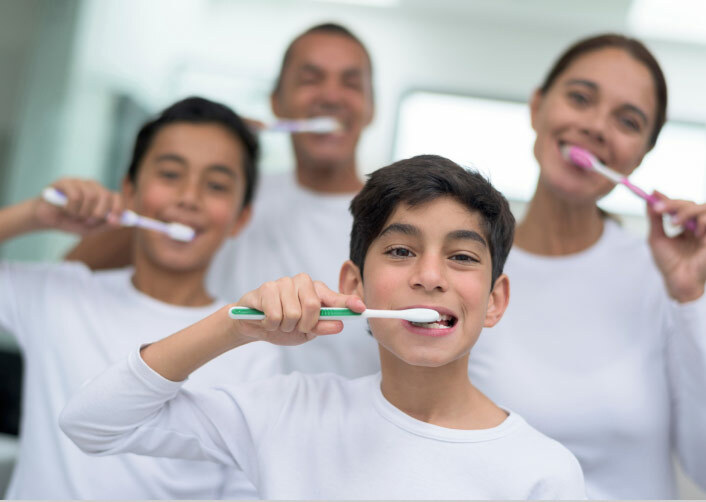 Parents play an important role in their children’s dental health. 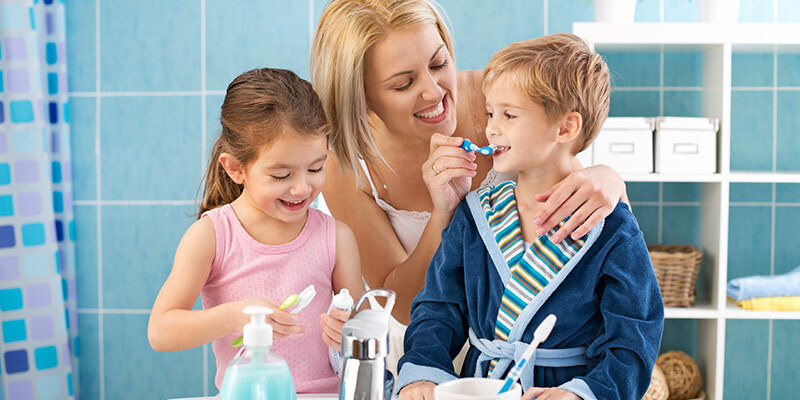 They need to reinforce good oral hygiene habits such as brushing and flossing at home with their children. However, the most important impact on your children will come from observing your own good habits. Lead by example and demonstrate how important your children’s teeth are to their overall health and continuing quality of life. Optimal dental health translates to a healthier child in general and impacts their future habits and livelihood. Begin using toothpaste to brush your child’s teeth when he (or she) is 2 years old. Young children tend to swallow toothpaste when brushing, rather than spitting it out. Introduce fluoride toothpaste when your child is old enough not to swallow it. As soon as two teeth touch each other, floss between them once a day. You can use regular floss or special plastic floss holders. New parents often ask, “When should my child first see a dentist?” Your child should see a dentist by his or her first birthday.